Bobby Wood, Piano - Pat McLaughlin, Writer - Gene Chrisman, Drums, Percussion - Richard Dodd, Masterer - Roy Agee, Horn - Mike Rojas, Glockenspiel, Piano, Vibraphone - Billy Sanford, Electric Guitar - Russ Pahl, Guitar, Electric Guitar - Dan Auerbach, Producer, Mixer, Percussion, Writer - Yola, MainArtist - Leisa Hans, Background Vocals - Dave Roe, Bass - Yola Carter, Vocals, Writer - Matt Combs, Strings - Ashley Wilcoxson, Background Vocals - M. Allen Parker, Mixer, Engineer, Recorded by - Ray Jacildo, Glockenspiel, Harpsichord, Organ, Vibraphone Copyright : 2019 Easy Eye Sound, under license to Nonesuch Records Inc. for the United States and WEA International Inc. for the world outside the United States. 2019 Easy Eye Sound, under license to Nonesuch Records Inc. for the United States and WEA International Inc. for the world outside the United States. Bobby Wood, Piano, Writer - Gene Chrisman, Drums, Percussion - Mark Howard, Banjo - Richard Dodd, Masterer - Mike Rojas, Piano, Harmonium - Billy Sanford, Electric Guitar - Russ Pahl, Guitar, Acoustic Guitar - Dan Auerbach, Producer, Mixer, Writer - Yola, MainArtist - Leisa Hans, Background Vocals - Dave Roe, Bass - Yola Carter, Vocals, Writer - Matt Combs, Strings - Ashley Wilcoxson, Background Vocals - M. Allen Parker, Mixer, Engineer, Recorded by Copyright : 2019 Easy Eye Sound, under license to Nonesuch Records Inc. for the United States and WEA International Inc. for the world outside the United States. 2019 Easy Eye Sound, under license to Nonesuch Records Inc. for the United States and WEA International Inc. for the world outside the United States. Joe Allen, Writer - Bobby Wood, Piano - Gene Chrisman, Drums, Percussion - Mark Howard, Banjo, Acoustic Guitar - Richard Dodd, Masterer - Mike Rojas, Piano, Clavinet - Billy Sanford, Electric Guitar - Charlie McCoy, Harmonica - Russ Pahl, Guitar, Electric Guitar - Dan Auerbach, Producer, Mixer, Electric Guitar, Writer - Yola, MainArtist - Leisa Hans, Background Vocals - Dave Roe, Bass - Yola Carter, Vocals, Writer - Matt Combs, Strings - Ashley Wilcoxson, Background Vocals - M. Allen Parker, Mixer, Engineer, Recorded by - Ray Jacildo, Organ Copyright : 2019 Easy Eye Sound, under license to Nonesuch Records Inc. for the United States and WEA International Inc. for the world outside the United States. 2019 Easy Eye Sound, under license to Nonesuch Records Inc. for the United States and WEA International Inc. for the world outside the United States. Bobby Wood, Piano - Gene Chrisman, Drums, Percussion - Richard Dodd, Masterer - Mike Rojas, Piano - Russ Pahl, Guitar, Electric Guitar - Dan Auerbach, Producer, Mixer, Acoustic Guitar - Yola, MainArtist - Leisa Hans, Background Vocals - Dave Roe, Bass - Yola Carter, Vocals, Writer - Matt Combs, Fiddle - Ashley Wilcoxson, Background Vocals - M. Allen Parker, Mixer, Engineer, Recorded by - Ray Jacildo, Organ Copyright : 2019 Easy Eye Sound, under license to Nonesuch Records Inc. for the United States and WEA International Inc. for the world outside the United States. 2019 Easy Eye Sound, under license to Nonesuch Records Inc. for the United States and WEA International Inc. for the world outside the United States. Stuart Duncan, Fiddle - Bobby Wood, Piano - Pat McLaughlin, Percussion - Gene Chrisman, Drums, Percussion - Mark Howard, Banjo - Dan Penn, Writer - Richard Dodd, Masterer - Mike Rojas, Harmonium - Billy Sanford, Electric Guitar - Charlie McCoy, Harmonica - Russ Pahl, Acoustic Guitar - Ronnie McCoury, Mandolin - Dan Auerbach, Producer, Mixer, Percussion, Writer, Background Vocals, Dobro - Yola, MainArtist - Leisa Hans, Background Vocals - Dave Roe, Bass - Yola Carter, Vocals, Writer - M. Allen Parker, Mixer, Engineer, Recorded by - Molly Tuttle, Acoustic Guitar Copyright : 2019 Easy Eye Sound, under license to Nonesuch Records Inc. for the United States and WEA International Inc. for the world outside the United States. 2019 Easy Eye Sound, under license to Nonesuch Records Inc. for the United States and WEA International Inc. for the world outside the United States. Joe Allen, Writer - Bobby Wood, Piano - Gene Chrisman, Drums, Percussion - Mark Howard, Banjo - Richard Dodd, Masterer - Mike Rojas, Glockenspiel, Harpsichord, Organ, Piano, Vibraphone, Mellotron - Russ Pahl, Guitar, Acoustic Guitar - Dan Auerbach, Producer, Mixer, Writer - Yola, MainArtist - Leisa Hans, Background Vocals - Dave Roe, Bass - Yola Carter, Vocals, Writer - Matt Combs, Strings - Ashley Wilcoxson, Background Vocals - M. Allen Parker, Mixer, Engineer, Recorded by Copyright : 2019 Easy Eye Sound, under license to Nonesuch Records Inc. for the United States and WEA International Inc. for the world outside the United States. 2019 Easy Eye Sound, under license to Nonesuch Records Inc. for the United States and WEA International Inc. for the world outside the United States. Bobby Wood, Piano, Writer - Gene Chrisman, Drums, Percussion - Richard Dodd, Masterer - Roy Agee, Horn - Mike Rojas, Piano - Billy Sanford, Electric Guitar - Russ Pahl, Guitar, Electric Guitar - Dan Auerbach, Producer, Mixer, Acoustic Guitar, Electric Guitar, Percussion, Writer - Yola, MainArtist - Leisa Hans, Background Vocals - Dave Roe, Bass - Yola Carter, Vocals, Writer - Ashley Wilcoxson, Vocals - M. Allen Parker, Mixer, Engineer, Recorded by - Ray Jacildo, Organ Copyright : 2019 Easy Eye Sound, under license to Nonesuch Records Inc. for the United States and WEA International Inc. for the world outside the United States. 2019 Easy Eye Sound, under license to Nonesuch Records Inc. for the United States and WEA International Inc. for the world outside the United States. 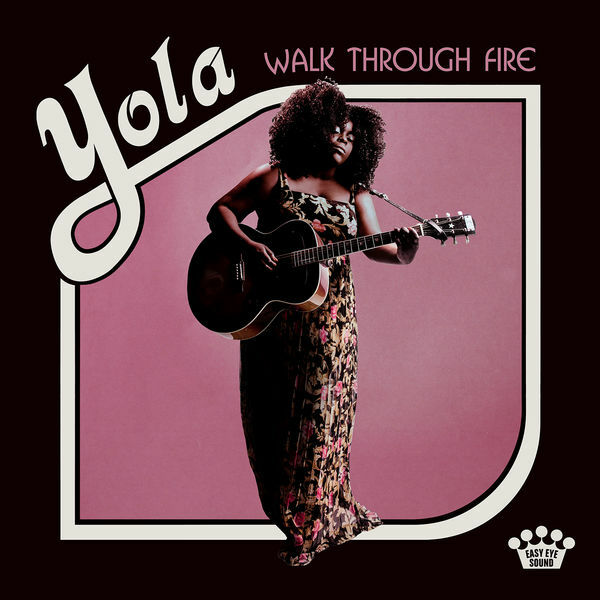 Bobby Wood, Piano - Pat McLaughlin, Writer - Gene Chrisman, Drums - Richard Dodd, Masterer - Mike Rojas, Glockenspiel, Piano, Vibraphone, Marimba - Dan Auerbach, Producer, Mixer, Writer - Yola, MainArtist - Leisa Hans, Backing Vocals - Dave Roe, Bass - Yola Carter, Vocals, Writer - Ashley Wilcoxson, Background Vocals - M. Allen Parker, Mixer, Engineer, Recorded by Copyright : 2019 Easy Eye Sound, under license to Nonesuch Records Inc. for the United States and WEA International Inc. for the world outside the United States. 2019 Easy Eye Sound, under license to Nonesuch Records Inc. for the United States and WEA International Inc. for the world outside the United States. Bobby Wood, Piano - Gene Chrisman, Drums, Percussion - JOHN BETTIS, Writer - Richard Dodd, Masterer - Roy Agee, Horn - Mike Rojas, Glockenspiel, Piano, Vibraphone - Russ Pahl, Guitar, Acoustic Guitar, Electric Guitar - Dan Auerbach, Producer, Mixer, Acoustic Guitar, Electric Guitar, Writer, Background Vocals, Bass - Yola, MainArtist - Dave Roe, Bass - Yola Carter, Vocals, Writer - Matt Combs, Strings - M. Allen Parker, Mixer, Engineer, Recorded by - Ray Jacildo, Glockenspiel, Organ, Vibraphone Copyright : 2019 Easy Eye Sound, under license to Nonesuch Records Inc. for the United States and WEA International Inc. for the world outside the United States. 2019 Easy Eye Sound, under license to Nonesuch Records Inc. for the United States and WEA International Inc. for the world outside the United States. Roger Cook, Writer - Bobby Wood, Piano, Writer - Gene Chrisman, Drums, Percussion - Richard Dodd, Masterer - Roy Agee, Horn - Mike Rojas, Glockenspiel, Piano, Vibraphone - Billy Sanford, Electric Guitar - Russ Pahl, Acoustic Guitar, Electric Guitar - Dan Auerbach, Producer, Mixer, Electric Guitar, Writer, Mellotron - Yola, MainArtist - Leisa Hans, Background Vocals - Dave Roe, Bass - Yola Carter, Vocals, Writer - Ashley Wilcoxson, Background Vocals - M. Allen Parker, Mixer, Engineer, Recorded by - Ray Jacildo, Glockenspiel, Organ, Vibraphone Copyright : 2019 Easy Eye Sound, under license to Nonesuch Records Inc. for the United States and WEA International Inc. for the world outside the United States. 2019 Easy Eye Sound, under license to Nonesuch Records Inc. for the United States and WEA International Inc. for the world outside the United States. Bobby Wood, Piano, Writer - Gene Chrisman, Drums, Percussion - Vince Gill, Background Vocals - Richard Dodd, Masterer - Mike Rojas, Piano - Billy Sanford, Electric Guitar - Russ Pahl, Guitar, Electric Guitar - Dan Auerbach, Producer, Mixer, Writer - Yola, MainArtist - Dave Roe, Bass - Yola Carter, Vocals, Writer - Matt Combs, Strings - M. Allen Parker, Mixer, Engineer, Recorded by - Ray Jacildo, Organ Copyright : 2019 Easy Eye Sound, under license to Nonesuch Records Inc. for the United States and WEA International Inc. for the world outside the United States. 2019 Easy Eye Sound, under license to Nonesuch Records Inc. for the United States and WEA International Inc. for the world outside the United States. Bobby Wood, Piano, Writer - Gene Chrisman, Drums, Percussion - Mark Howard, Banjo, Acoustic Guitar - Richard Dodd, Masterer - Roy Agee, Horn - Mike Rojas, Piano - Billy Sanford, Electric Guitar - Russ Pahl, Guitar, Acoustic Guitar, Electric Guitar - Dan Auerbach, Producer, Mixer, Acoustic Guitar, Electric Guitar, Writer, Background Vocals - Yola, MainArtist - Dave Roe, Bass - Yola Carter, Vocals, Writer - M. Allen Parker, Mixer, Engineer, Recorded by - Ray Jacildo, Organ Copyright : 2019 Easy Eye Sound, under license to Nonesuch Records Inc. for the United States and WEA International Inc. for the world outside the United States. 2019 Easy Eye Sound, under license to Nonesuch Records Inc. for the United States and WEA International Inc. for the world outside the United States. © 2019 Easy Eye Sound, under license to Nonesuch Records Inc. for the United States and WEA International Inc. for the world outside the United States. 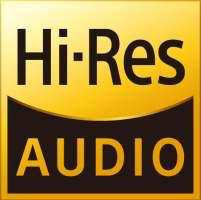 2019 Easy Eye Sound, under license to Nonesuch Records Inc. for the United States and WEA International Inc. for the world outside the United States.